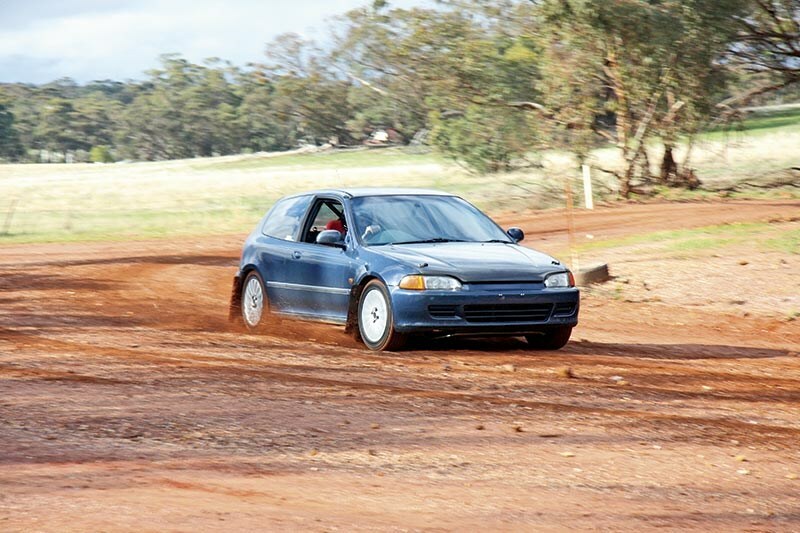 It was been something we’d been mulling over for a while, and now it was reality: we had our own rally car! Just typing this feels surreal. It is the culmination of a dream, one that I’ve harboured since watching Lancia Delta Integrales dancing over marbled gravel on television as a kid. It was beyond impressive, the millimetric control of Kankkunen as he negotiated stages at a speed that should, by rights, have spit him straight at the nearest firm obstacle. I remember it being exciting beyond comprehension, one of those ‘I could never do that’ moments. 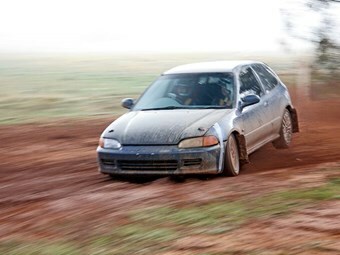 From that point on, I have a firm belief that, for the purest driving hit, it has to be on the gravel. Thankfully, I have a father-in-law who, thanks to a chance half-day at Rallyschool.com.au, has acquired a similar thirst to go rallying. I haven’t fully converted him, mind – he included a ‘must be convertible into a circuit car’ in our purchase agreement – but I’m working on it. 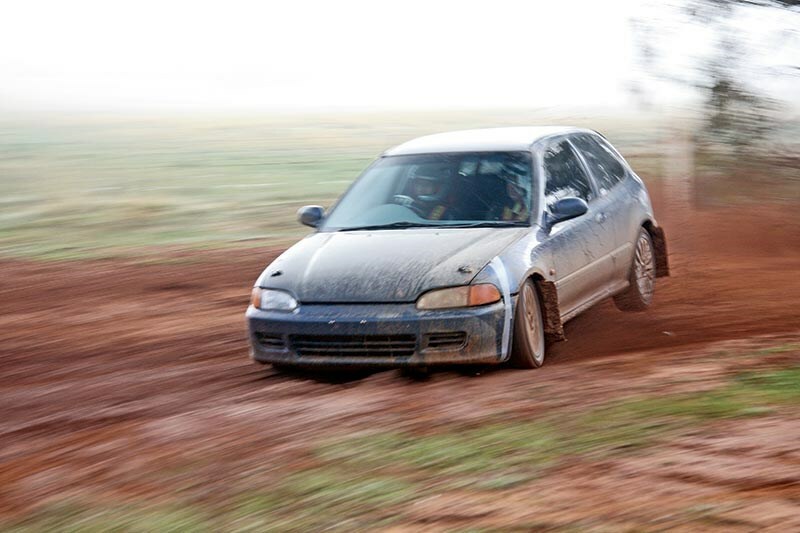 "Honda Civic EG – Fast tarmac/gravel car" read the ad. The specs looked promising, with much of the hard stuff done – vital for a couple of blokes with near-zero mechanical ability. Fully adjustable DMS gravel-spec suspension, KAAZ limited-slip diff, quick-rack and a DC2 Integra Type R rear-disc conversion were among the highlights. But it was under the carbon bonnet where things became serious. 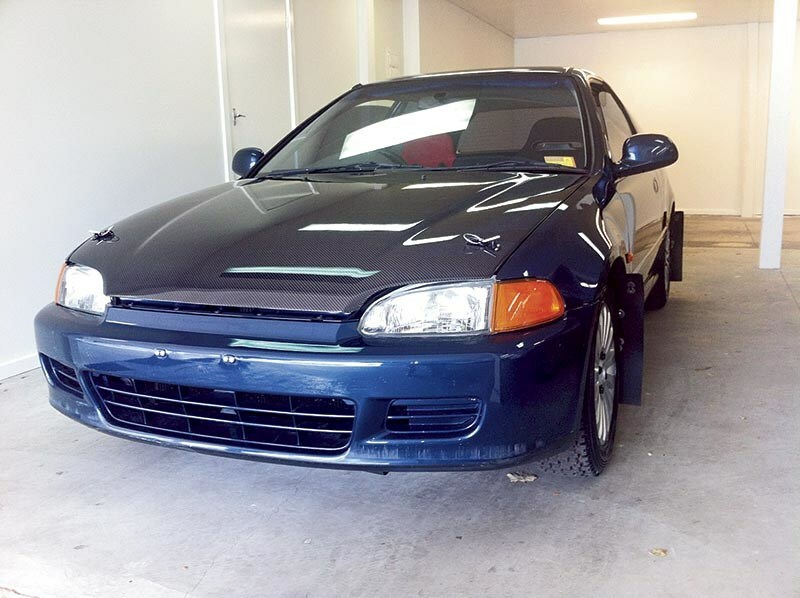 The JDM-spec B18C, also from the Type R Integra, revs to 8400rpm and sounds like a BDA when the VTEC timing change kicks in from 5600rpm. The S80 N3E five-speed gearbox also benefits from shortened ratios to maximise acceleration on the autocross tracks where it will spend most of its time. 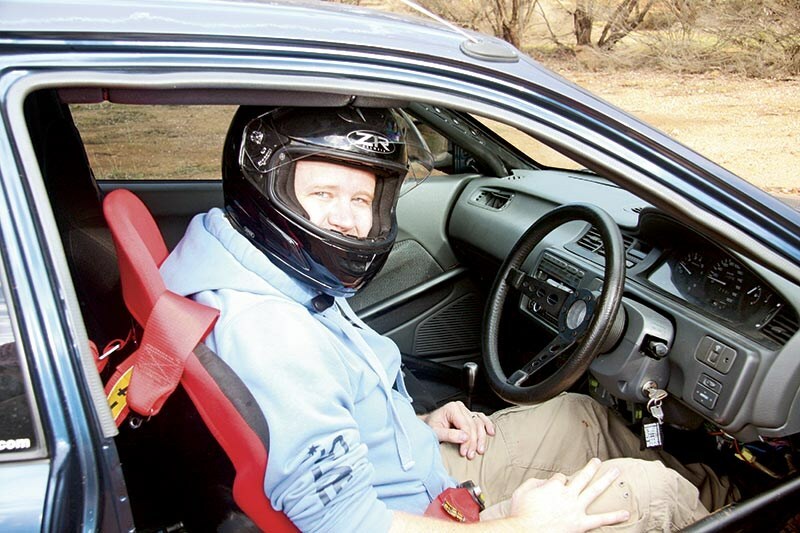 Under the guidance of PPE’s Alan Heaphy, we’ve fitted a six-point cage and harnesses, but as ever the job list continues to accumulate, especially after a driveshaft failure on its maiden voyage, where it was driven, ahem, quite rapidly by ARC front-runner Brendan Reeves. 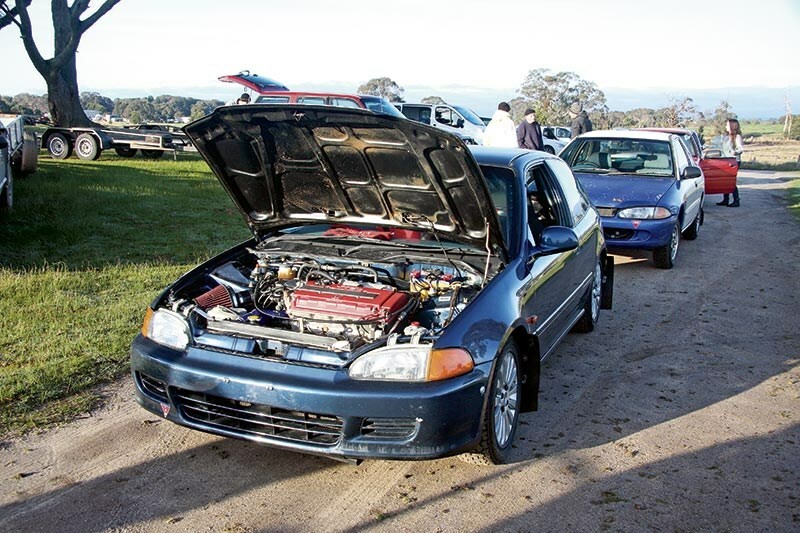 That issue resolved (droop limiters installed by PPE, to prevent the shafts from pulling themselves out when the suspension is overstressed), it was time to debut the Civic in the Kyneton Car Club Autocross Series. 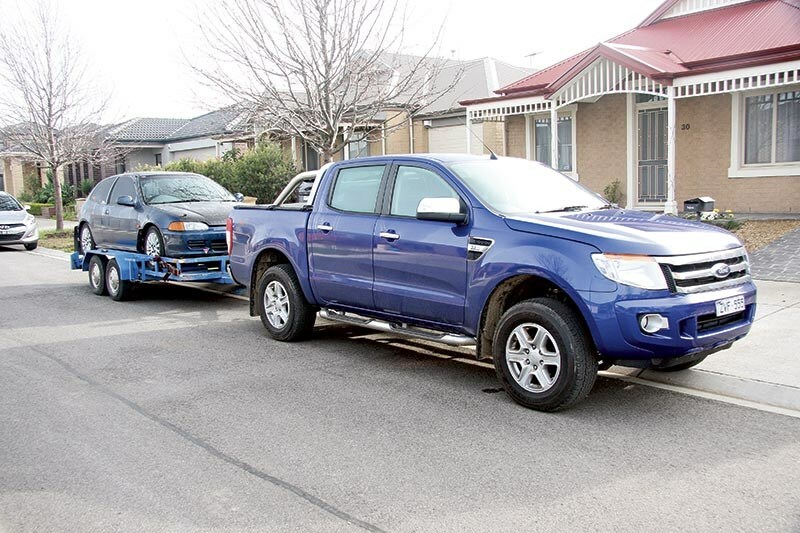 With a Ford Ranger on towing duty, the diminutive Civic felt barely there on the trailer as we ambled up the highway, but the first indication of trouble came when reversing off, the clutch apparently losing its bite-point.